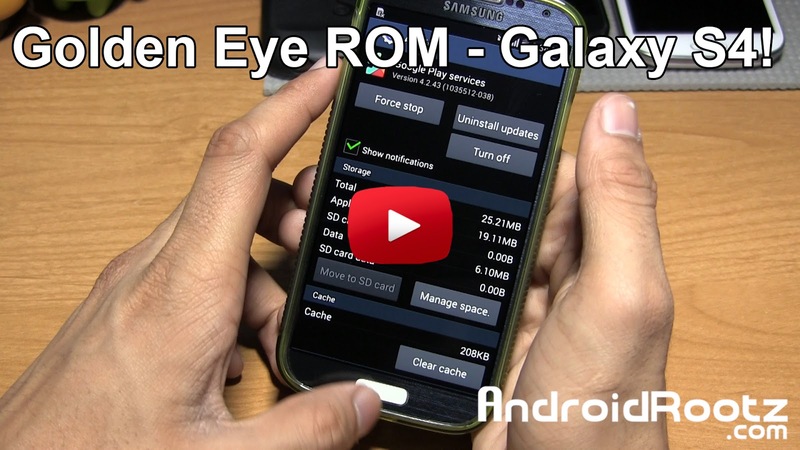 GoldenEye ROM Android 4.4.2 KitKat for Galaxy S4! GT-i9505/T-Mobile/AT&T/Canadian ~ AndroidRootz.com | Source for Android Rooting, ROMS, Tricks and More! 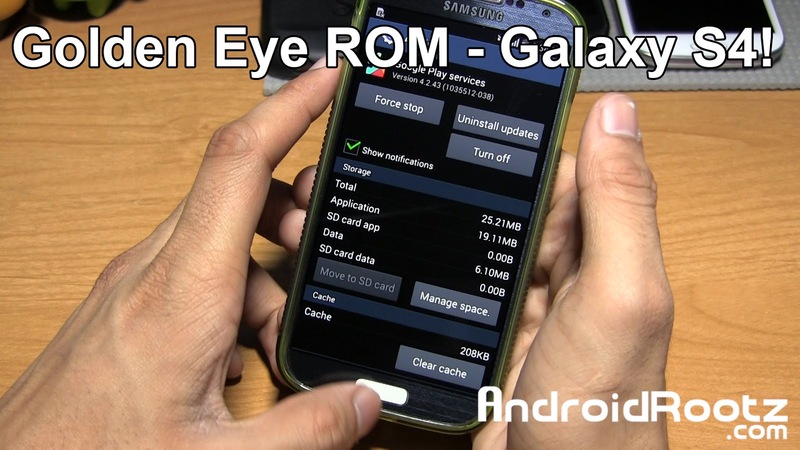 GoldenEye ROM for the Galaxy S4 GT-i9505, T-Mobile, AT&T, and Canadian variants is a great ROM for one major reason. This ROM is running on Android 4.4.2 KitKat Touchwiz. Yes, it's finally here a Touchwiz ROM loaded with the latest Android version for everyone to enjoy! Even though GoldenEye ROM is running on Android 4.4.2 KitKat Touchwiz the Knox software is removed so it can save you a lot of space and get rid of all the useless features we don't need. This ROM also gives you a very stable and quick experience. All the "extra" Google apps are removed like Google Plus and Hangouts to keep this ROM even lighter. This ROM offers some nice features like in call recording, App2SD feature which allows you to transfer application data to your external SD card, extended menu, and no sound during a boot up phase. If you want Android 4.4.2 KitKat ROM on Touchwiz for the Galaxy S4 be sure to try out this ROM! Download GoldenEye ROM for Galaxy S4 GT-i9505, T-Mobile, AT&T, and Canadian variants using the link below!